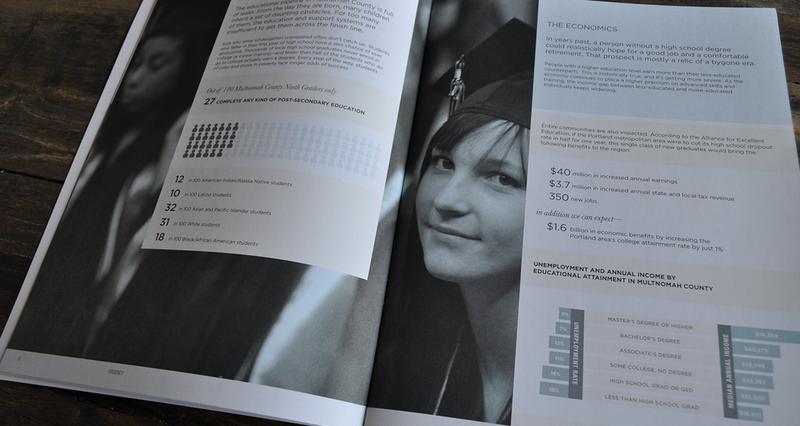 Strategy & design—book design & layout, informational graphics and print management. A system and style was developed to visually represent data in simple and approachable manner. 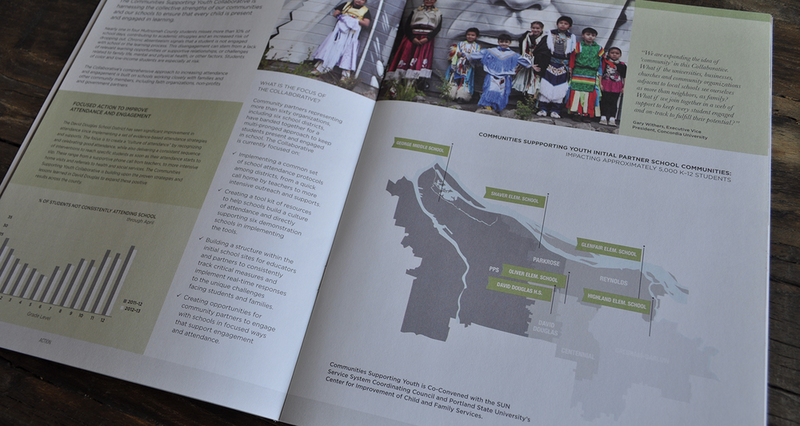 The design of the 40 page booklet, as well as the system for over 50 informational graphics were created to help represent the All Hands Raised data & findings, and to specifically deliver their message in a clear and concise format. The design’s muted palette and large photos help to impact this focus. A summer transition programs guide created for incoming high school students. 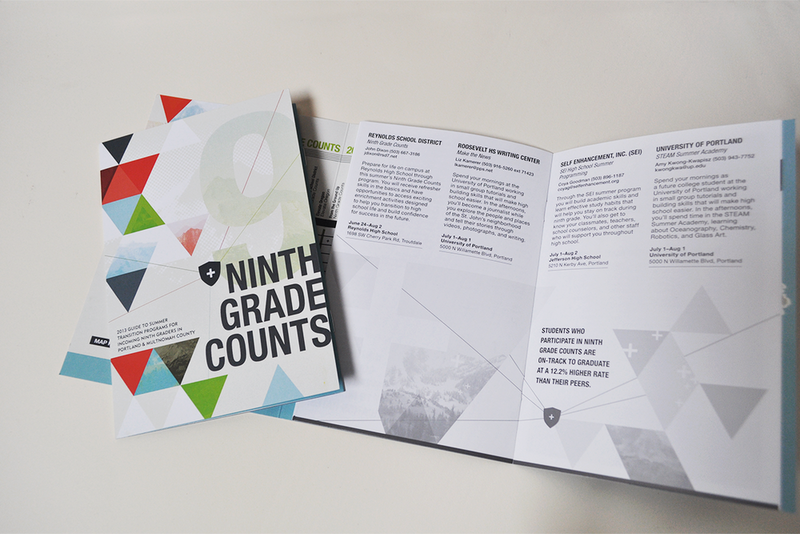 The layering of graphic elements paired with the unconventional fold brings energy to this informational pamphlet.